Category Archives for "Journalism Contests"
Every journalist dreams of getting an award on some prestigious competition, but only best can accomplish this goal. Nowadays, you have various categories in which you can compete. Depending on your writing style and technique, you should explore your gift and always aim for the big. Journalists who aren’t forced to work on Christmas and Thanksgiving are indeed the blessed ones. Everyone who is into this business knows how challenging and demanding it can be. We all think one day Pulitzer will be ours, which is a tremendous gift for journalist. But, until that day arrives, here are some exciting competitions you can apply and test your talent. The Sigma Delta Chi Awards falls into the premier category, and it’s one of the most prestigious competitions in this industry. The prizes that are given in this profession are unique because of the value achievement in all forms of journalism. There are various categories included, such as newspaper, magazines, photography, television and online journalism. The contest is open to anyone who has any work published or broadcasted by a U.S. or international media outlet. Freelance work is also accepted, but it must be published within the current year. Every entry must be followed by a cover letter. 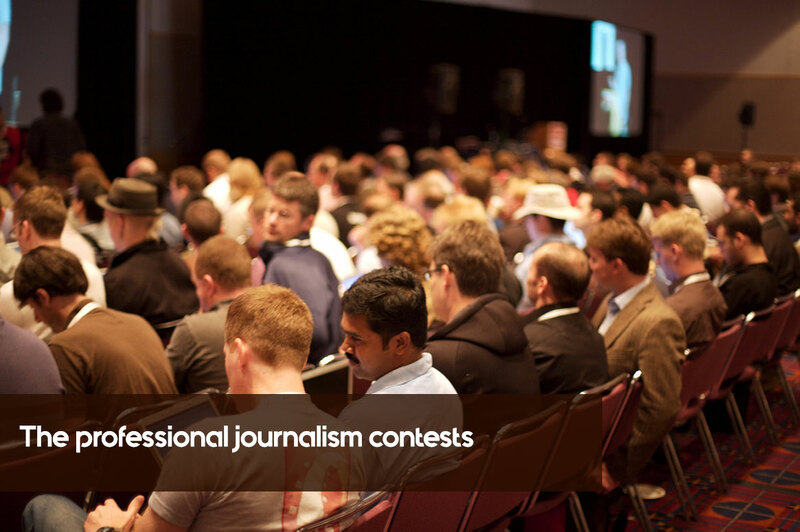 This contest honors the best collegiate journalism. It is judged at a regional and national level, and the annual competition offers an opportunity to participate in 51 different categories, such as newspaper, magazine, photography, radio, television and online writing. Here writers have a freedom to express their creativity and compete for the states honors and professional awards. Mostly this is the contest for students. Everyone who is enrolled in the U.S. or international college or university has the right to apply. At the time of publication or broadcast, you must be enrolled as a student. Otherwise, you will be disqualified. The New America Award honors public service journalism and exposes all the issues important to immigrants and ethnic communities in the U.S. In the last couple of years, immigrants have been under a lot of pressure, especially those coming from the middle east. The journalists are trying to be more open towards this issue and expose the struggles they are facing every day. For candidates to be eligible, they must submit their work within the current year, and the competition applies to all media outlets, journalists, communities, advocacy groups, and individuals. Each candidate must submit a cover letter, explaining the importance of the issue and why it was chosen.